No matter the political party — We all respect the institution. 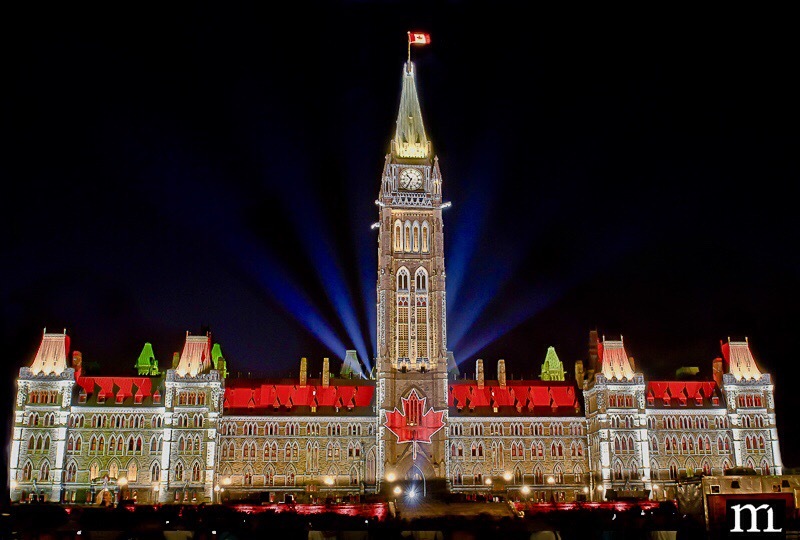 I’m taking you on a visit of the Parliamentary Precinct, and today, the topic is the West Block of Canada. 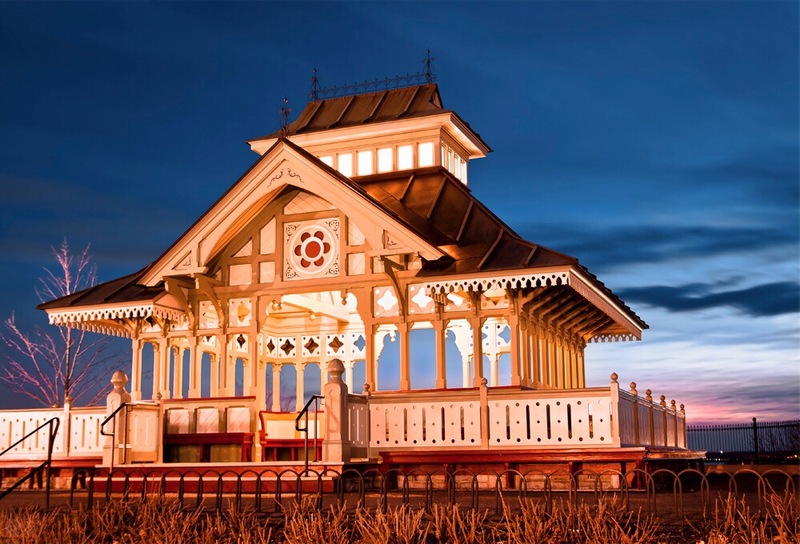 This victorian high gothic style structure, built in 1865, stands just west of the Centre Block, hence the name. 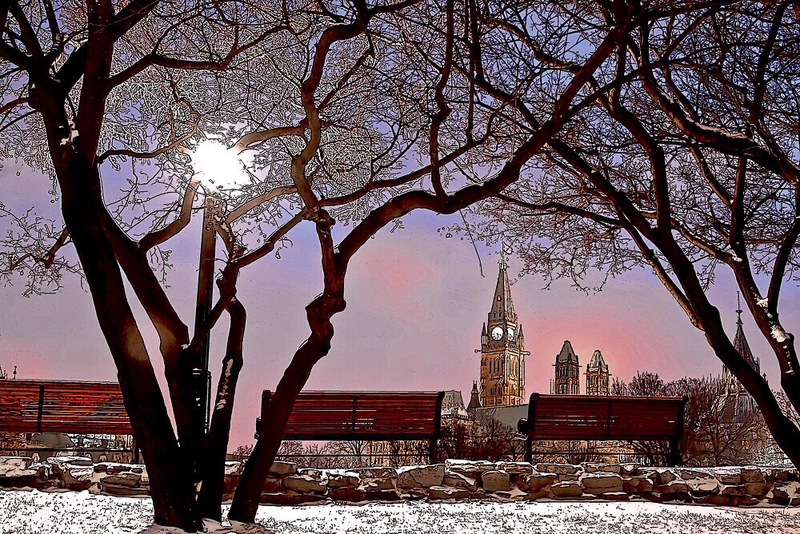 Here we see one of the West Block towers and behind it, the Confederation Building. 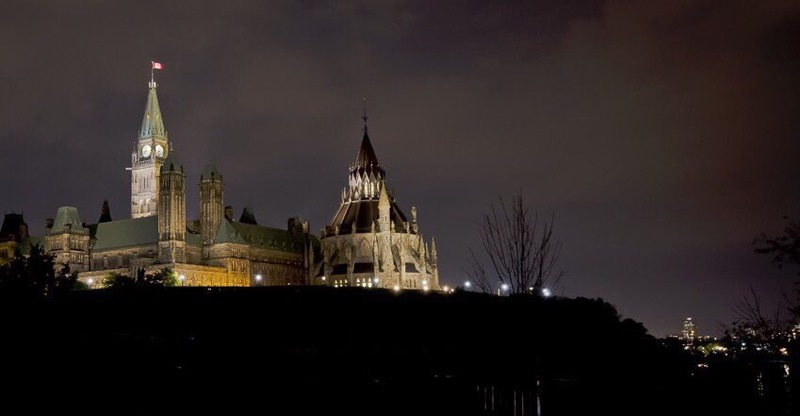 Today, the West block is closed for renovations. 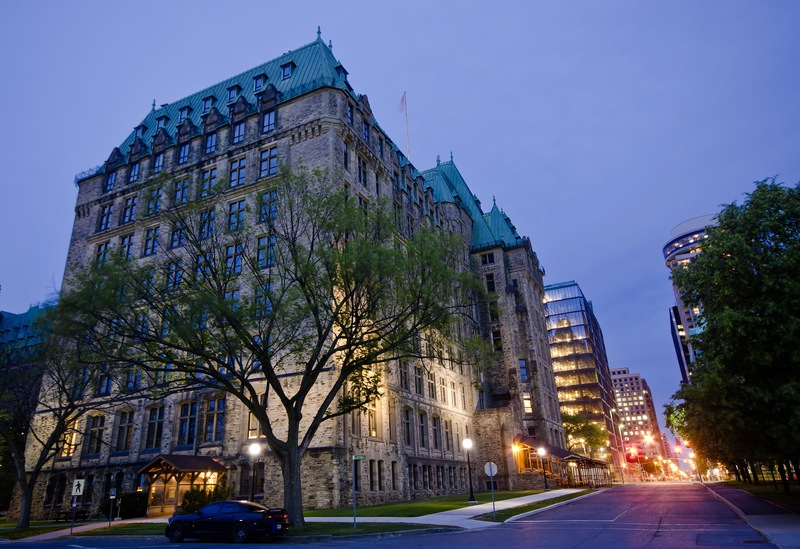 It houses Ministers, Members of Parliament, their employees, committee rooms, and an important ceremonial space. 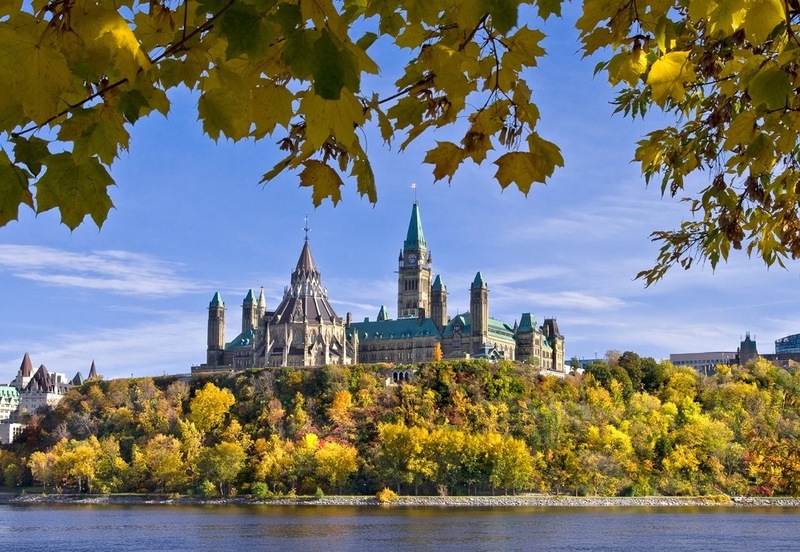 In 2019, it will be the temporary space for the House of Commons Chamber when the Centre Block closes for renovations. What we’re seeing here is the West and Centre blocks, early during the renovations. This photo is and will always be an original image part of Canadian history. 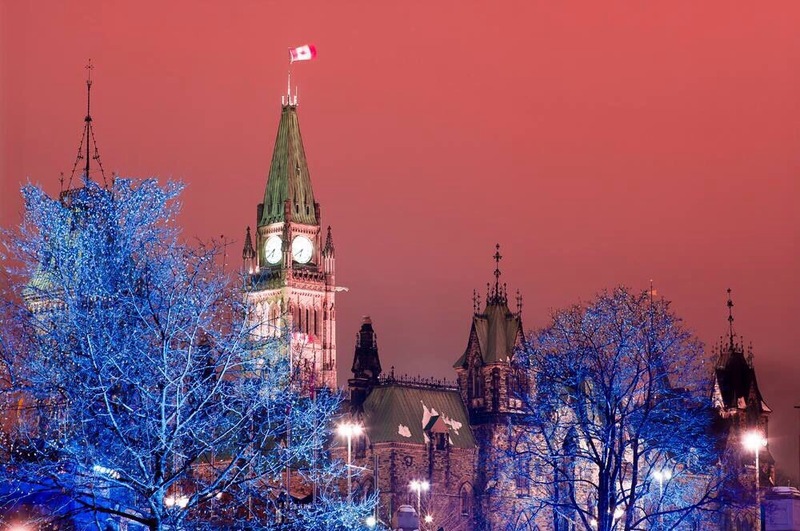 This photo, from the Canadian Parliament collection, West Block at Night, shows the building in its evening glory. 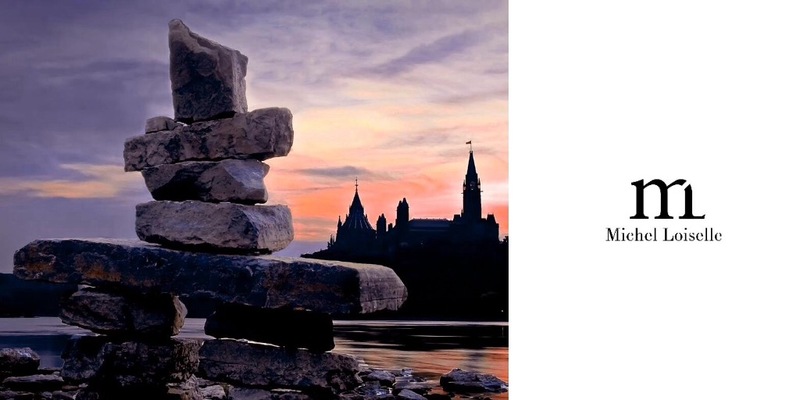 It is clad in a rustic Nepean sandstone exterior and dressed stone trim around windows and other edges, as well as displaying a multitude of stone carvings, including gargoyles, grotesques, and friezes, keeping with the style of the rest of the Parliamentary Precinct. 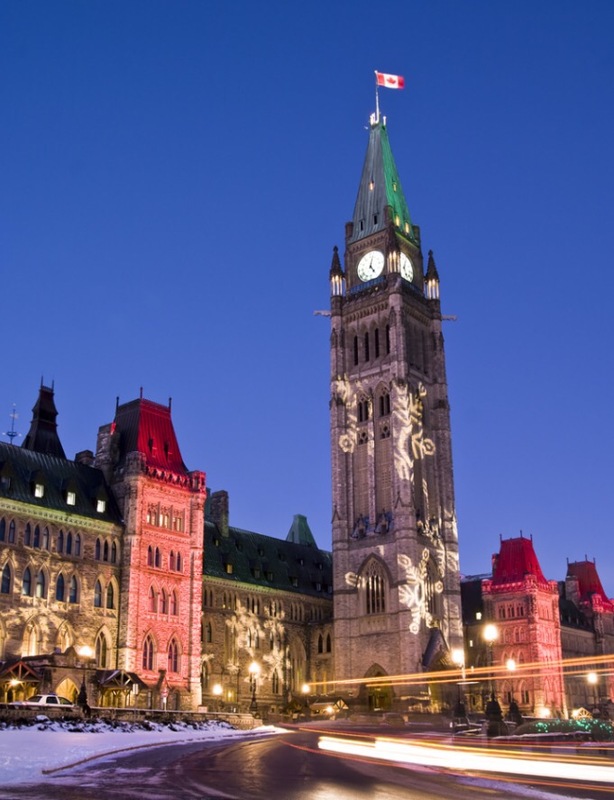 An interesting fact that not many people are aware of, is that the building is featured on the front of the Canadian five dollar banknote with a portrait of Canada’s 8th PM, Sir Wilfrid Laurier. 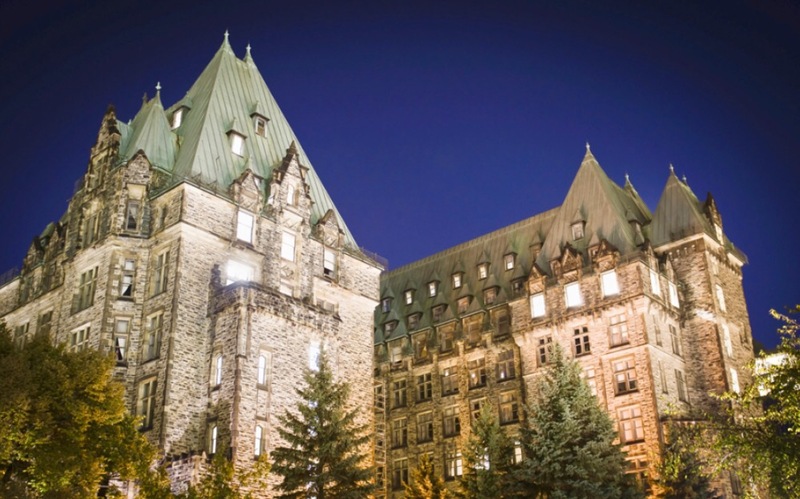 As we see here, it is a beautiful building full of gothic intrigue and character, and is also the site chosen to erect the statue of Sir Robert Borden, the 8th Prime Minister of Canada. 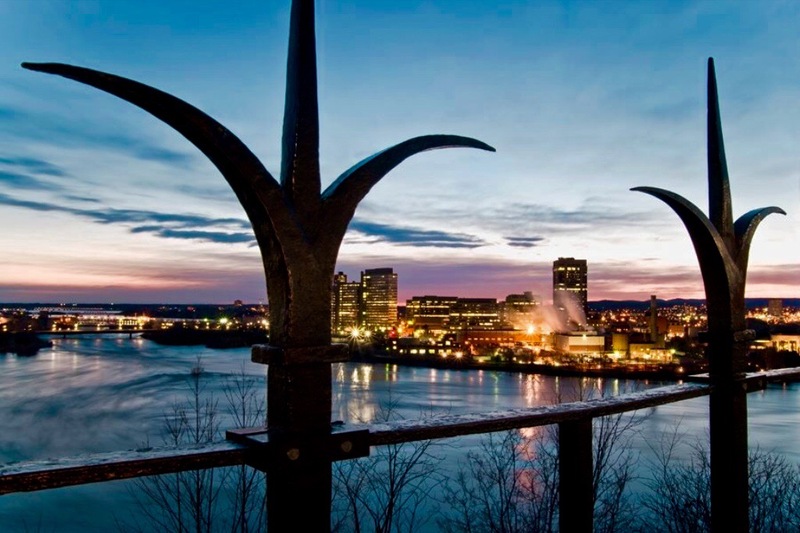 Another point of interest that many are not familiar with, is that there is a tunnel connecting the West and Centre Blocks. It will be interesting to find out what will become of it after the renovations. 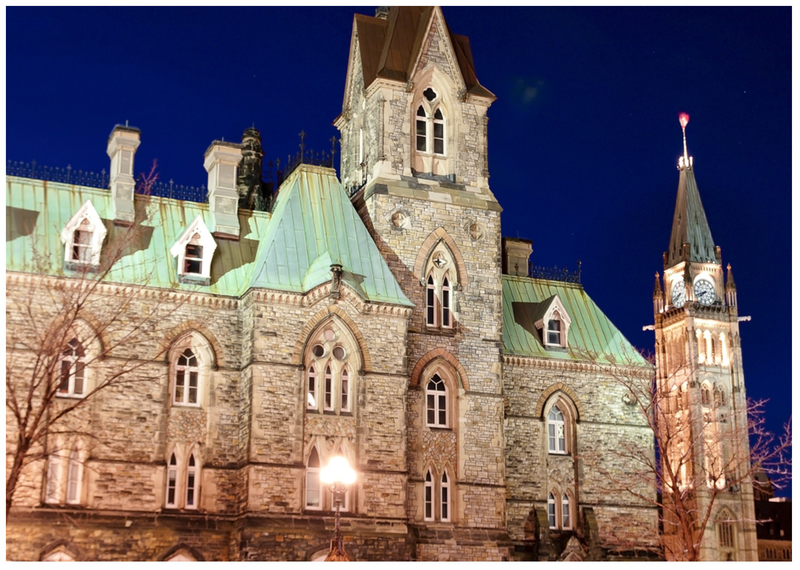 During a prior renovation, these West Block turrets on the North side, were completely refurbished. 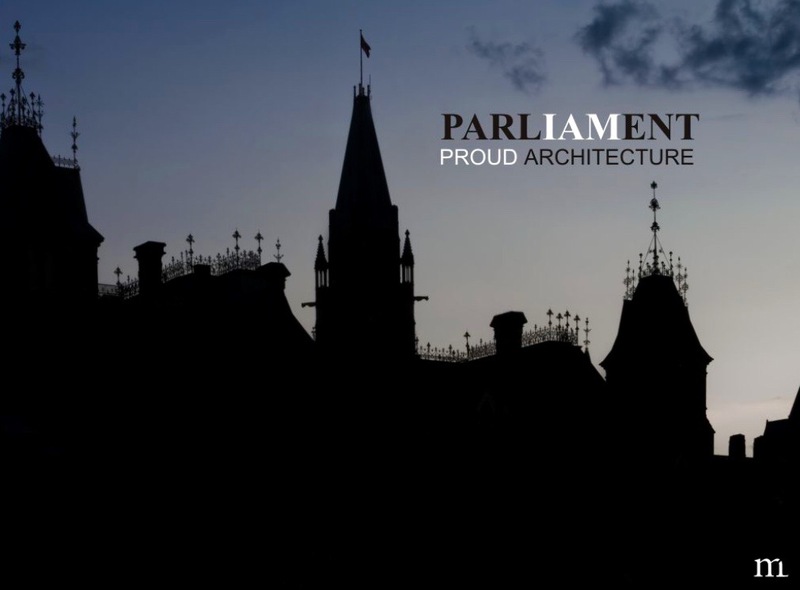 The West Block photos you see here are part of the Canadian Parliament collection of more than 250 images starting at $12 and available for immediate download. Have a look! 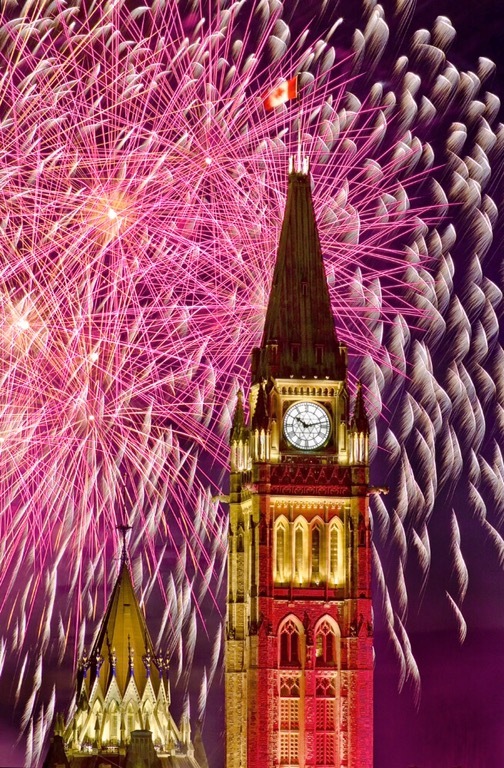 I hope you’ve enjoyed reading about the West Block of Canada.